Do You Believe I Can Recover from my Eating Disorder? Um, Yes! We believe it is possible to recover from an eating disorder. We're here to believe even in moments you may not. Eating disorder recovery is difficult but possible. We're here to help you each step of your recovery. To be recovered is to be present in one’s body and to experience food and exercise in ways that are not ruled by concerns over size, shape, and numbers. Emotions and life experiences are navigated using strategies that do not compromise one’s health or well-being. Being recovered allows one to model for others how to eat a variety of foods, in a variety of settings, and to move for joy rather than in a compulsive or excessive way. Once recovered, the relationship with one’s body is managed with authentic self-acceptance. Genetics. Certain people may have genes that increase their risk of developing eating disorders. People with first-degree relatives — siblings or parents — with an eating disorder may be more likely to develop an eating disorder. Eating disorders often run in families. Current research indicates that there are significant genetic contributions to eating disorder. Psychological and emotional health. People may have temperaments that make them more venerable to developing eating issues. Hypersensitivity, feeling big, low self-esteem; feelings of inadequacy or lack of control in life; depression, anxiety, anger, stress or loneliness also make individuals more vunerable. Society. Success and worth are often equated with being thin in popular culture. Peer pressure and what we see in the media may fuel a distorted ideal. So, What's the Treatment for Eating Disorders? No two eating disorder clients are alike. 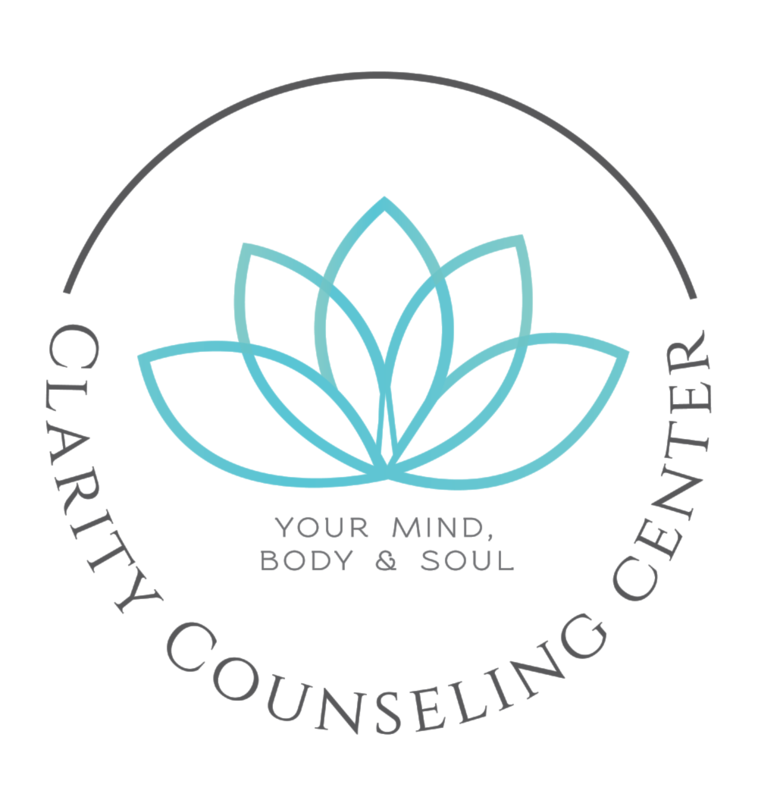 At Clarity Counseling Center we provide tailored programs for each unique individual. We primarily use counseling and therapy with (CBT) strategies coupled by nutrition counseling but pivot to other modality when indicated. We aim to improve client quality of life through enhanced cognitive and emotional awareness and regulation. In treatment of eating disorders, we encourage a team approach to include clients, family members, psychiatrists, nutritionists, and primary care physicians working in collaboration to support clients during treatment. At Clarity Counseling Center we treat anorexia nervosa, bulimia, binge purge disorder, BED, ARFID, as well as Body Dysmorphic Disorder in the Wilmington, NC community. We have nutritionists and counselors allies in the community to ease collaboration. What's CBT for Eating Disorders like? Individuals with eating disorders often hold a negative or distorted view of themselves and their bodies. These highly critical thoughts can result in feelings of shame, anxiety or disgust that often trigger weight control behaviors and fuel a cycle of negative self-evaluation. Guided by a therapist, CBT helps the individual to examine which specific factors are maintaining their disorder and to set personalized goals that are addressed throughout the various phases of CBT. CBT stresses education and skills training that help the patient gain a thorough understanding of themselves and their eating disorder so that healing can occur. Three phases of CBT may unfold over the course of the inpatient, partial hospital and IOP programs, and some or all of them may take place during outpatient therapy. 1. Behavioral Phase: The patient and therapist work together to formulate a plan for stabilizing eating and eliminating symptoms. Because emotions often intensify during this phase of treatment, tools (coping strategies) for managing these feelings are developed and become an important part of the work. CBT includes in-session activities as well as “homework” so that new behaviors can be practiced. 2. Cognitive Phase: As treatment progresses, cognitive restructuring techniques (e.g., techniques aimed at recognizing and changing problem thinking patterns) are introduced. Thoughts and beliefs that perpetuate the problems (“I will only be happy if I can lose this weight”) are identified and work aimed at developing new perspectives and ideas (“my self-worth doesn’t depend on my size or shape”) begins. Additionally, during this stage of treatment, broader concerns such as relationship problems, body image, self-esteem problems, and emotion regulation are addressed. 3. Maintenance & Relapse Prevention Phase: The final stage of CBT concentrates on reducing triggers, preventing relapse and maintaining the progress that’s been made. Even though CBT is focused on the elimination of symptoms, the overall goal of the treatment is to assist the patient in making their return to a healthy and fulfilling life. So, very often, once symptoms are stabilized, treatment will expand to include other areas of concern and conflict that can help individuals move towards holistic healing and emotional well-being. What's the Role of Nutrition Counseling in ED Treatment? The role of nutrition services is very important in the treatment of an eating disorder. Our dietitians work with patients who are often terrified of eating, to help them achieve a balanced pattern of nutrition and reach their goals. Learn more about our Dietitian's approach.